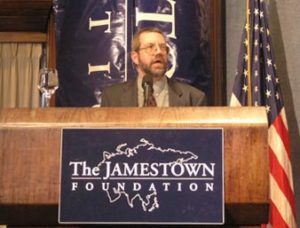 New York- The Jamestown Foundation is selling a jam-packed DVD of its third annual terrorism conference entitled “The Changing Strategic Gravity of al-Qaeda” that was held on December 9th at the National Press Club. This extensive series of presentations covers everything from more mainstream topics like counterinsurgency, de-radicalization and AfPak to far lesser understood topics ranging from Mindanao to the Houthi war in northern Yemen. Jamestown is providing some of the most extensive coverage on all subjects terror related and this DVD is a must for anyone looking to get (way) beyond today’s headlines. Jamestown brings together indigenous experts and former government officials from the troubled states in question along with top Western area experts in an attempt to present the widest picture of the global threat spectrum as possible. From ideology to insurgent logistics, this DVD has it all. No one who seeks to truly understand the dangers posed to the global community by non-state actors can settle for thinking they have a handle on all the necessary knowledge by focusing on one area such as the Afghanistan-Pakistan theater when the next attack is conceived in, and launched out of, Yemen or Somalia. The insight provided therein constantly seeks to enhance the intellectual agility of those trying to grapple with a globalized insurgency.